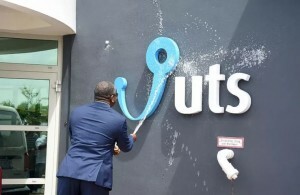 WILLEMSTAD, LA HAVANA - Cuba's state-owned telecommunications operator Etecsa has reached a deal with Curacao-based operator United Telecommunication Services (UTS) to improve available internet bandwidth in Cuba, reports website CubaSi, citing Etecsa president Mayra Arevich Marin. Under the terms of the deal, Etecsa will be able to tap into UTS's undersea fibre-optic network, which already provides access to operators in Caribbean, Central American and the Andean countries. The deal follows 8 months of talks and aims to improve the quality and coverage of Cuba's existing internet service, said the Etecsa president. Earlier this year Cuba’s communications minister Maimir Mesa said a total of 4 million Cubans, around 36 percent of the population, are currently able to access the internet. The total includes 1.5 million with access to Etecsa’s Nauta plans plus around 2 million who use the island’s email service. Etecsa has also launched its 'Nauta Hogar' residential internet service in several provinces following a trial in Havana.